Two imaging studies found that less invasive screening procedures reduced unnecessary angiographies in patients with coronary heart disease or suspected coronary artery disease. 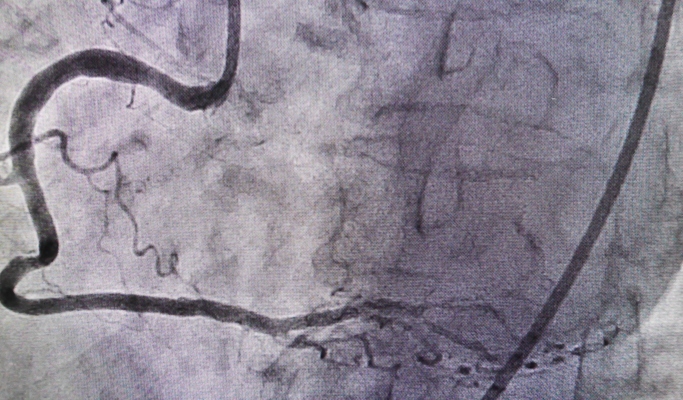 Fractional flow reserve derived from routine coronary angiography may improve coronary lesion assessment. Anemia with a baseline hemoglobin <13 g/dL was associated with a more than 5-fold increased risk for contrast-induced acute kidney injury in patients undergoing coronary angiography. A significantly higher rate of adverse cardiac events was observed in chronic total occlusions compared with moderate to severe coronary artery disease. The device is indicated for ultrasound echo imaging, measurement, and analysis of the human body for general clinical applications including musculoskeletal, vascular, small parts (breast, thyroid), and lung imaging. There was a decrease in invasive testing as first diagnostic test and fewer patients were referred for angiography after stress test. The variables for the stepwise echocardiographic score included right ventricular systolic pressure, early pulmonary regurgitation gradient, right atrial area size, tricuspid regurgitation velocity, left ventricle eccentricity index, and right ventricle fractional area change. The American College of Cardiology, along with several other cardiology societies, have updated guidelines on best practices for improving safety when using ionizing radiation during cardiovascular imaging. The Society of Radiologists in Ultrasound has endorsed recommendations regarding ultrasound imaging test protocols for patients with suspected deep venous thrombosis. When magnetic resonance angiography is performed in patients with neurovascular embolization coils that contain 304V stainless steel, an increased image artifact may occur. The Food and Drug Administration announced today that it has approved a new technology to produce the country’s own supply of the radioisotope Technetium-99m.